I know that there ain’t no ‘S’ in TBI, we can make believe that TBI should really be TSBI for Traumatic Suckass Brain Injury. Anyway, this is just a quickie. I thought I’d share these pictures with you. 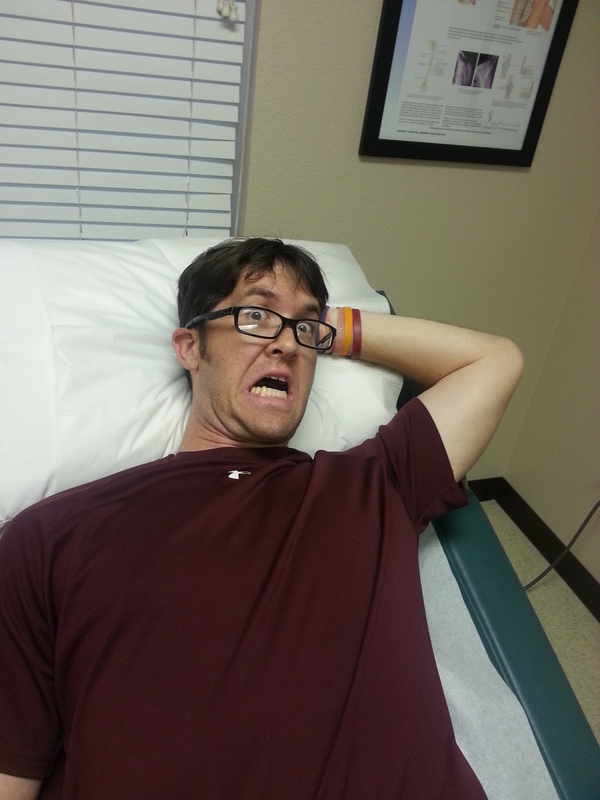 This first image is regular ol’ Jarrett, enjoying life with no needles in my foot. The next picture shows that, indeed, life can be enjoyed because, indeed, my foot is, indeed, needle free. Indeed, this needle free bliss would be short lived, indeed. Should I stop with the indeeds? I should, indeed! Moving on (indeed? Err…nevermind), these are images of a needle in my foot. 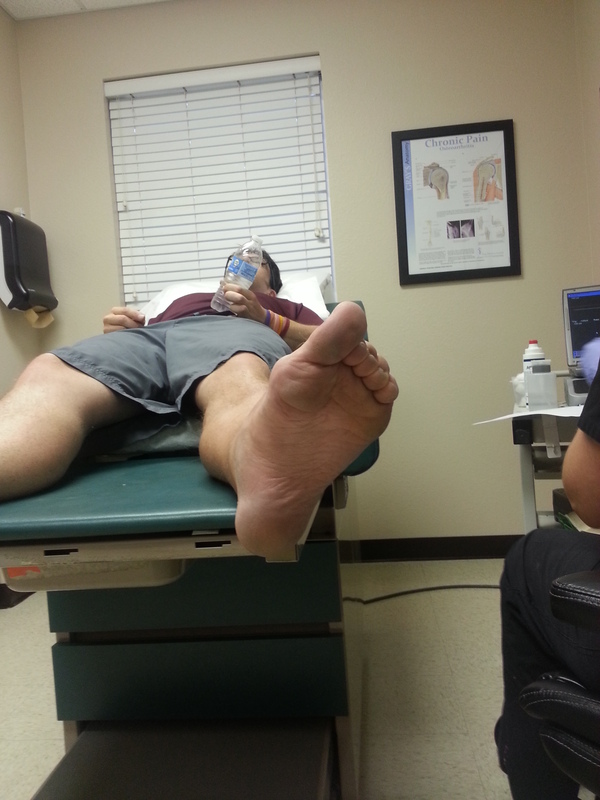 Take note – the foot is my foot and there’s a needle in it. The nurse took three pictures because she’s an overachiever. On a more seriouser note, notice the curl of my toes. They do this all the time, it gets pretty painful. Botox injections help make it a lot more manageable. My mood has been altered verily as can be seen in this next pic. The sudden change of mood might be confusing for you, I’ll explain. You see (actually you can’t) the bottom of my f*cking foot has a f*cking needle in it. You are so f@&$?ing hilarious! 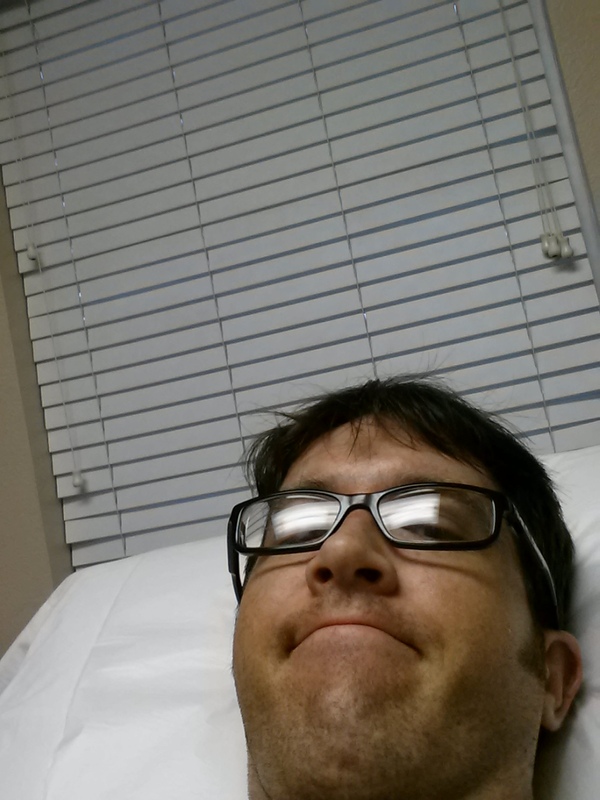 If you’re going to get injections in your foot, get them first. After getting those done, the rest is a breeze. You gonna get some in your arm or anything? Let me also say that Botox won’t totally free your spastic muscles, but over a few weeks to a month it’ll make it much easier to relax those muscles – be patient, it’s worth it. I wrote an article about the pros and cons of Botox, here’s the link: http://wp.me/p3uGa4-6m. I’m so sorry to hear about your accident – are you in PT/OT? Things may seem bleak now, but they’ll get better, I promise.